If you’re planning to travel around Sri Lanka these are some places you simply can’t miss! 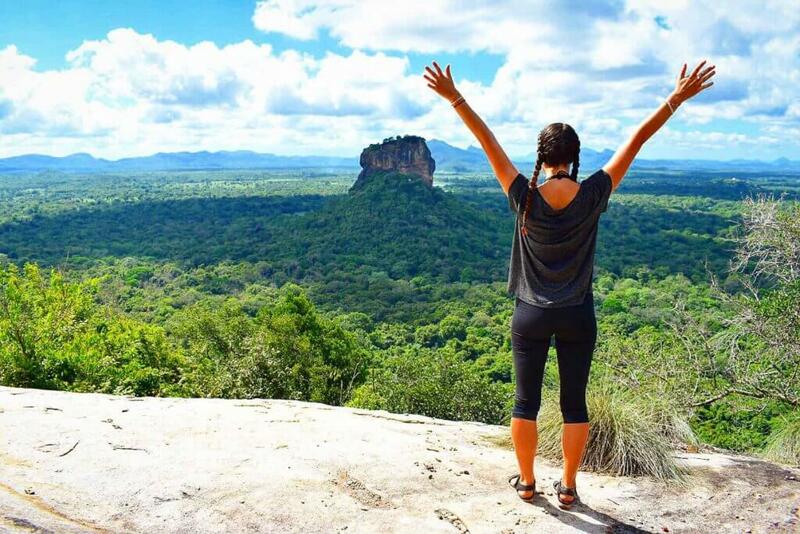 What is a trip to Sri Lanka without visiting the iconic Sigiriya? It’s commonly on the top of the bucket list and for good reason. The town of Dambulla is a typical launch point and gateway to Sigriya – it is a town situated in the Central Province of Sri Lanka. It’s 148km North-East of Colombo and 72km North of Kandy – for the vegetarians amongst us it the centre of vegetable distribution within the country! YUM! If vegetables aren’t enough to lure you to this ancient city it also boasts the largest and best preserved cave temples in Sri Lanka, the largest rose quartz mountain range in South Asia, and, the Iron wood forest. Sigiriya, also known as “Lions Rock” is a UNESCO World Heritage listed site and is one of the best preserved examples of ancient urban planning. It is rock fortress on top of a mountain! About halfway up the mountain is a gateway built by King Kasyapa (well, one would assume the king ordered his servants to build it) that is an enormous lion! The climb to the Peak of Sigiriya (known as Lion’s Rock) is easy and super tourist friendly! With stairs and a sturdy railing the climb is quite straightforward. Upon reaching the top you will be met with picturesque scenery, ancient cave paintings, stone carvings and an extra appreciation for shade. However, the ascent of Lion’s Rock and its special railings comes at a price, with entry being 3000 Rupee, the climb is unfortunately not for all of us… Not to worry, there is a simple alternative. Only 1.5km away is Pidurangla rock, which can be climbed free hand with no special hiking or climbing gear required! Both Lion’s Rock and Pidurangla rock will reward you with a view of Lions Rock. 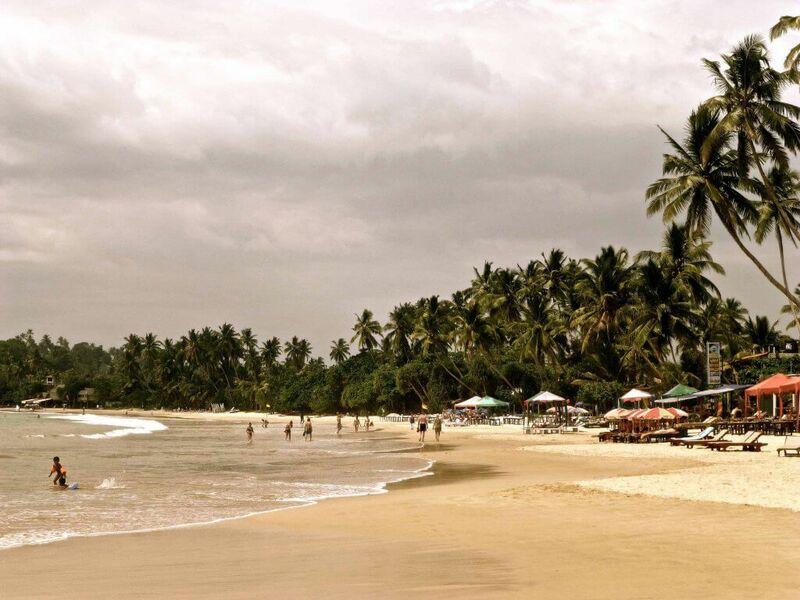 A peaceful beach side suburb awaits you in the South of Sri Lanka. The relaxing and beginner friendly waves in the bay of Mirrissa (and nextdoor at Weligama), coupled with the heart-warming and ever helpful locals, will put you in a state of tranquillity. Sit back with a coconut and let the hours, days and weeks fly past as you enjoy a wide selection of foods and beverages appealing to a tourists palette. Whether you want to play beach volleyball, go whale watching, bask in the sun all day reading a book, try some beginner surfing or drink pina-colada under the shade of a palm tree – this is the place for you. 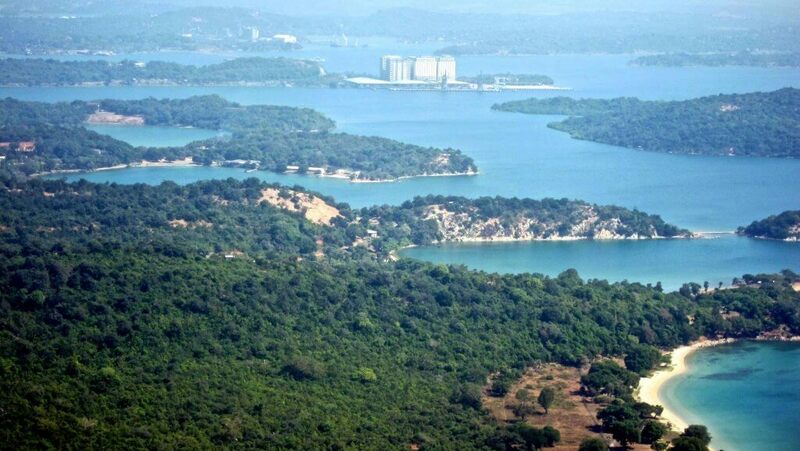 Cleaner and not as “Touristy” as the well developed beaches is Trincomalee! This place is simple on the surface but has a lot to offer. It has been one of the main centres of the Tamil language on the island for the past two millennia. The town is home to the famous Koneswaram temple, the Bhadrakali Temple and still runs a ferry service to the nearby Jaffna. You can enjoy beaches at Uppuveli, Salli and Nilaveli to go surfing, scuba diving, whale watching and fishing! The Kanniya Hot Water Wells are another attraction historically serving the buddhist temple in the area. If you plan on having a bath here however you are only allowed to use a bucket and no soap! There are changing rooms separated for males and females close by. Trincomalee boasts some of the quietest beaches in Sri Lanka while being surrounded by endless beauty. Yala National Park is widely known for having the largest array of animals when compared to other national parks in Sri Lanka. 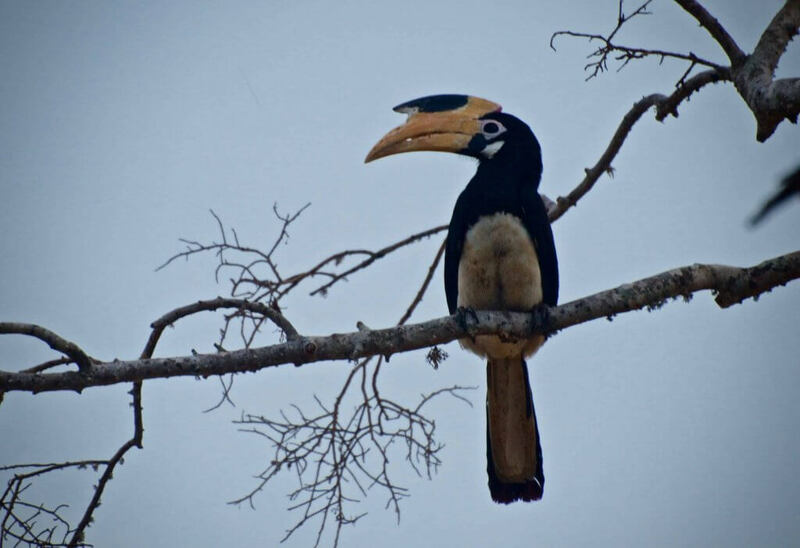 The animals you will see are spectacular and range from leopards, elephant, water buffalo, sloths and many different reptiles and fish this is a place you cannot miss. Lastly on our list in Sri Lanka is the mysterious and ancient city of Kandy. Situated high on a mountain, with a stunning lake at the lowest point of the bowl like enclosure, there are a number of activities you can devote your time. The Botanical Garden’s provide an escape from the regular hustle and bustle of local life while being surrounded by beautiful natural scenery. The Temple of the Tooth (Buddha’s tooth) is a must see. The large collection of fascinating runes, relics and ornaments will appeal to everyone, even kids want to see ancient swords and armour! While this list only contains our top 5, there are plenty more amazing places to see in Sri Lanka! Even conversations in the local tea shops can be some of the fondest memories! A quick disclaimer: Narrowing down the top 5 destinations is not an easy thing to do! No matter what you choose to do in Sri Lanka, you will be sure to create everlasting memories that will always be in your heart. Sri Lanka has it all; beaches, mountains, yoga, trekking, whale watching, meditation, tea and coffee plantations, parties, festivals, fruits and food! There is always something to find when exploring the marvellous and endless coasts, hidden temples and ancient history of this extraordinary country! So, grab some kottu and get on the road!